Designed for low light personal defense and law enforcement applications, the new EX Performance Tactical Forend Light is now available for Remington® and Mossberg® pump shotguns. Nampa, Idaho (December 2018) – Adaptive Tactical, LLC, manufacturers of innovative firearm stocks and accessories, will be unveiling their new EX Performance Tactical Light Forend for the Remington® 870 12-gauge and the Mossberg® 500 & 88, 590 and 590M 12-gauge pump shotguns at the 2019 SHOT Show in Las Vegas, Nevada, Jan. 22 – 25, 2019 at booth 1925. 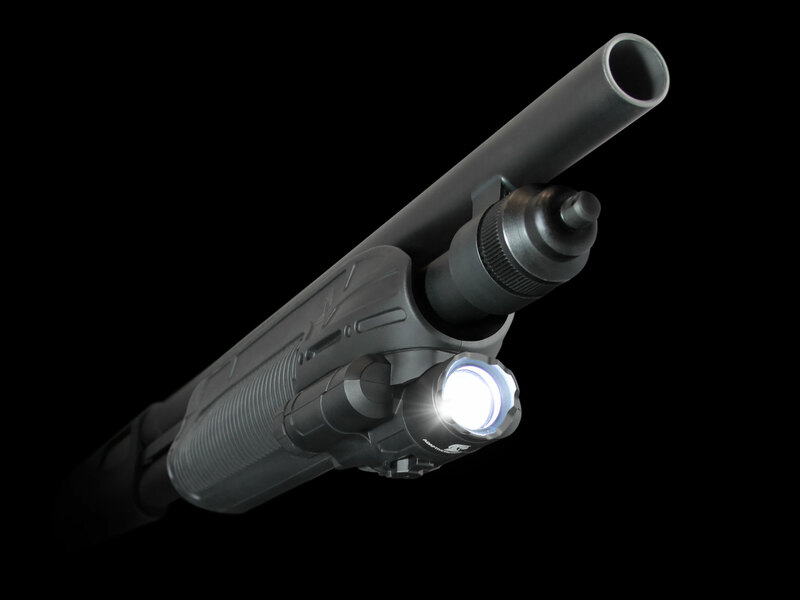 The compact, powerful 300-lumen tactical flashlight seamlessly integrates into the forend body. 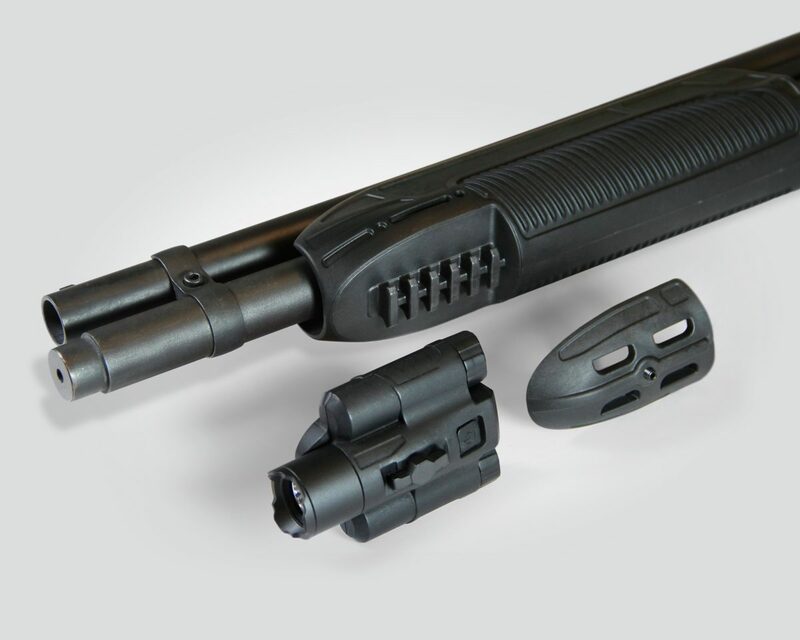 It is designed for easy owner installation and can be removed to allow for alternate accessories to be mounted on a two-inch Picatinny rail or covered with the forend cap that is included with the tactical light forend. “The addition of an integrated tactical light in the EX Performance line is an obvious step in expanding the capabilities of our products to include use in low light conditions. 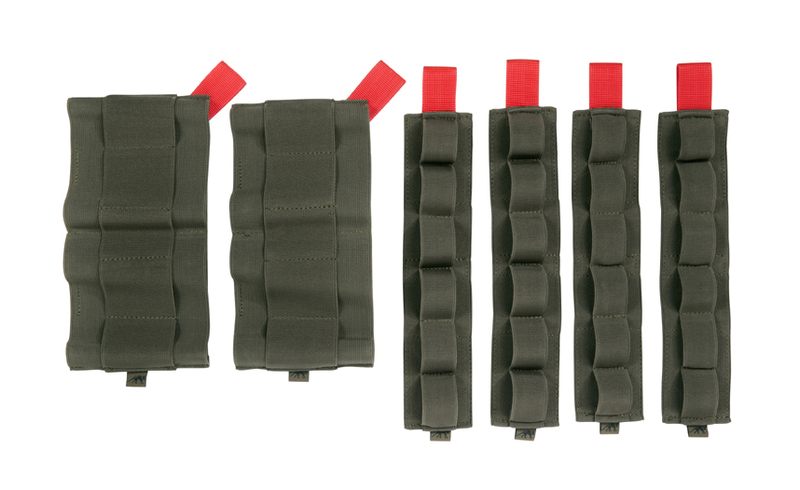 This feature is especially important for our law enforcement and home defense customers,” commented Gary Cauble, director of sales and marketing for Adaptive Tactical.